Guided Tours include free basic lesson for first time paddlers! We have many different tours to choose from and supply ALL equipment. Custom Tours are available to many locations. 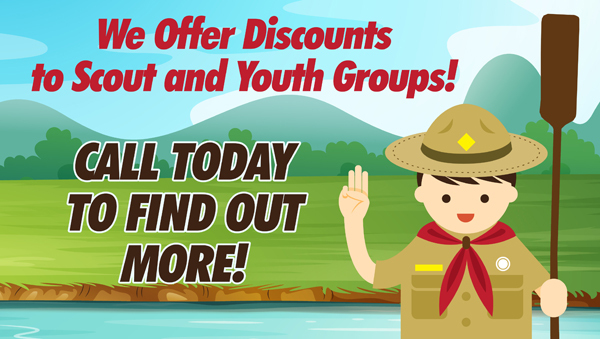 Have a family, business, youth group or other trip in mind? We offer private trips!!! 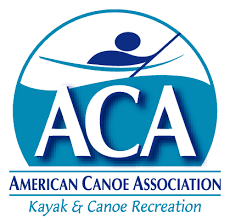 Have children who want to paddle? A private trip is just what they need!!!! INSTRUCTION AND CUSTOM TRIPS: CALL 443-731-1100 to make your arrangements and discuss fees. Perryville Community Park is one of our most popular trips, and for good reason. Paddle with us to beautiful Furnace Bay, ashallow inlet of the Chesapeake Bay, where we find abundant wildlife. Last year, on every trip we saw Bald Eagles. This is a nesting area for Great Blue Heron. Geese, Ducks, Kingfisher, Swans, Osprey, Turtles, Deer and Fish are often seen. Otters and Beaver have been spotted. This is a wonderful trip anytime. On Spring trips you may see nesting waterfowl. Warm Summer trips bring out other wildlife like Blue Crabs seen walking on the bottom thru clear water. (I caught one by hand from my kayak last Summer). 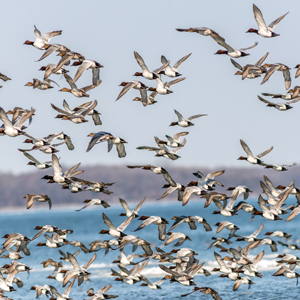 Fall brings Migratory Waterfowl to this area. Flocks of different kinds of Ducks, Geese and sometimes Swans number in the thousands! You will enjoy wonderful scenery here any time of the year! Trips at high tide can be extended with a paddle up Principio Creek, for an even different experience, Kayaking under an old stone RR bridge! There is just too much to explore in just one trip! Lock 15 on the SUSQUEHANNA RIVER, Upper Conowingo Lake section, is another scenic favorite. This is my favorite summer paddle, or anytime the river flow is low. Visit a Historic Lock on the Susquehanna-Tidewater Canal. 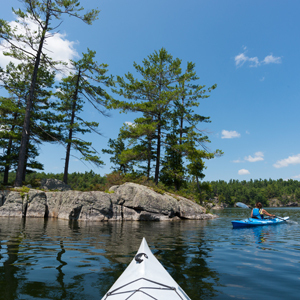 Paddle around many Islands with interesting rock formations, carved by rushing water over years of time. The Islands are close together with no long open water crossings. River water is fresh and clean, some paddlers like to stop and swim on hot days! Each island is different and the scenery changes as we paddle around from island to island. At least one paddler has remarked "It looks like Alaska". There is more paddling here for most to do in one day, and it can be broken down into several trips. An alternate paddle takes you to Muddy Creek for an even different view of the area. 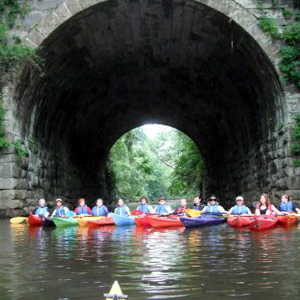 Join us for a history tour from your Kayak! Listen to your guide tell about the city&apos;s origin, John O&apos;Neil and the War of 1812, and how the town got it&apos;s name. Horse racing, US capital (almost). Take the tour and find out more! Paddle past the Promenade, the town&apos;s boardwalk. You will see the old Bayou Hotel, Concord Point Lighthouse, Decoy Museum, Maritime Museum, Susquehanna Lock House Museum with restored Lock at the start of the Susquehanna & Tidewater Canal. See the Skip Jack "Martha Lewis", one of the last working oyster dredge boats on the Bay, (if she&apos;s in port). There are plenty of Ducks and Geese too! Extended trips can visit Garrett Island, and a working Quarry on the Susquehanna River. Our most relaxed trip, we explore small tidal streams at a leisurely pace. With no open water crossings, this is a perfect first time trip! 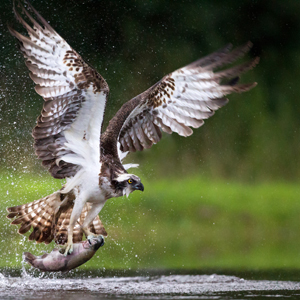 We view water fowl like Osprey, Ducks, Geese and Great Blue Heron. Turtles and Beaver are often spotted! Paddling close to North East, much of the wildlife here is acclimated to people, so we are able to get up close! 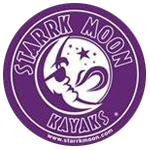 WE OFFER CUSTOM, PRIVATE AND PUBLIC KAYAK TRIPS TO THESE AND OTHER LOCATIONS. WE CAN PUT TOGETHER A TRIP THAT&apos;S RIGHT FOR ANY AGE OR SKILL LEVEL. CALL TO BOOK A TRIP, OR FOR MORE INFO.